Don’t let bugs interfere with your favorite outdoor activities. OFF!® Outdoor Fogger will keep flies, mosquitoes, and non-biting gnats away from your outdoor areas for up to six hours, including backyards, patios, decks, campsites, and picnic areas. 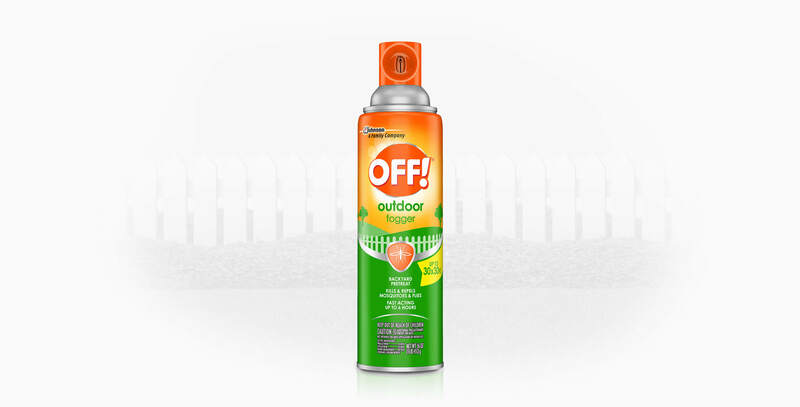 Repels flies, mosquitoes and non-biting gnats. 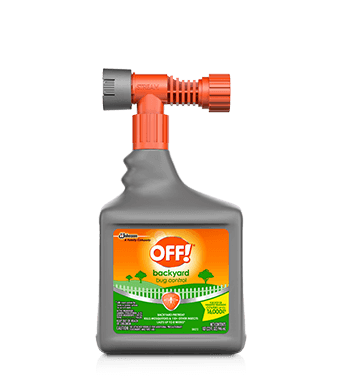 Keeps flies, mosquitoes, non-biting gnats, small flying moths, wasps, and multi-colored Asian lady beetles away for up to six hours. Covers an area up to 30 ft. x 30 ft.
Do not apply directly to food or to food serving or food preparation surfaces. Do not apply to pets or to your skin or clothing. Do not allow children or pets to contact treated surfaces until spray has dried. For flying insects: Flies, Mosquitoes, Non-biting gnats, Small flying moths, Wasps, and Multi-colored Asian lady beetles. Hold can on slight downward angle. Point nozzle away from face, other people and animals. Spray toward area being treated. Allow spray to drift over area and settle. 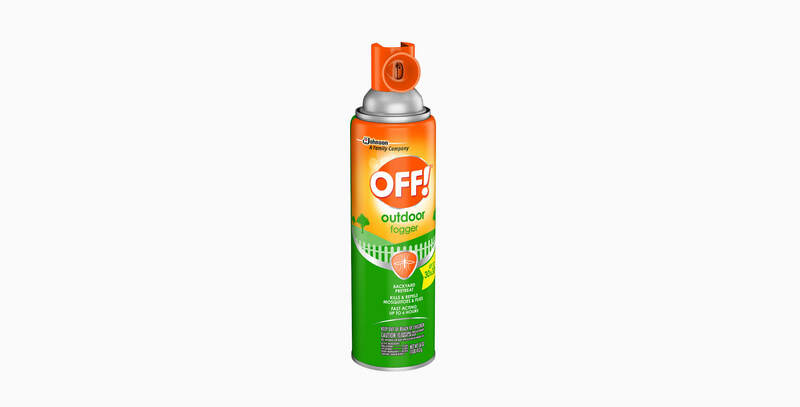 From 4 to 6 ft. away, spray articles and vegetation in the area including plant leaves and foliage, furniture (except seating and table top surfaces), tents, outdoor screening, deck railings, campers, and other surfaces that pests may contact or rest upon. For best results, spray when air is calm. IF BREEZY, spray with the wind. IF NOT BREEZY, spray out from center of area being treated. 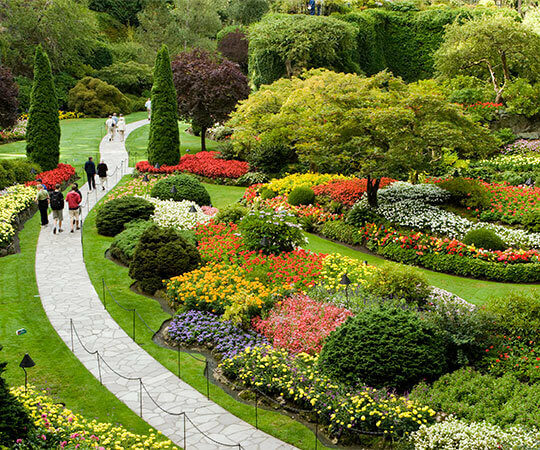 Give special attention to breeding areas such as garbage cans and compost piles. DO NOT SPRAY DIRECTLY ON SKIN. CAUTION: Avoid contact with skin or clothing. Wash thoroughly with soap and water after handling and before eating, drinking, chewing gum, using tobacco or using the toilet. This pesticide is toxic to fish and aquatic invertebrates. Do not apply directly to water. Drift and runoff may be hazardous to aquatic organisms in water adjacent to treated areas. Flammable: Contents under pressure. Keep away from heat, sparks, and open flame. Do not puncture or incinerate container. Exposure to temperatures above 130°F may cause bursting.